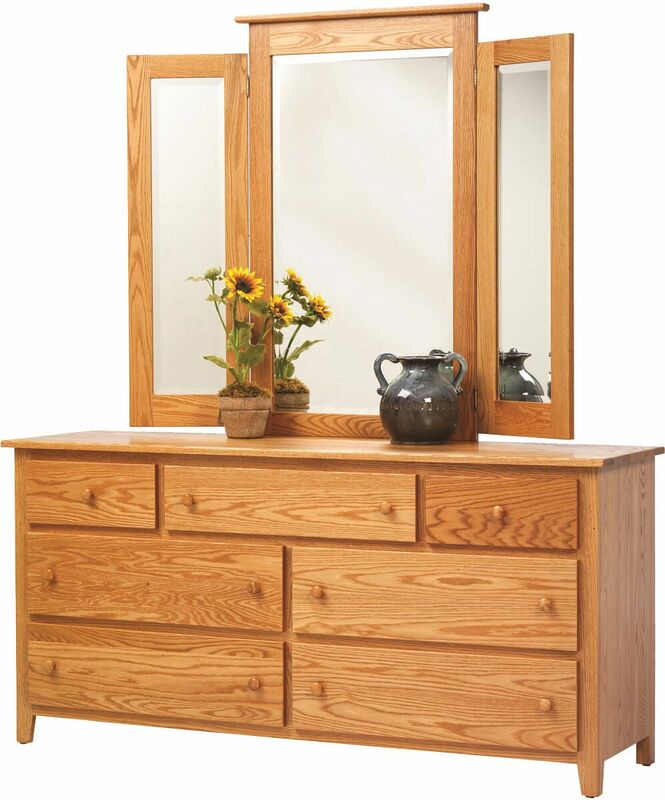 Handcrafted of solid Oak, the Brentwood Mirror Dresser reveals the classic mountain peak and straight grain characteristics of this American hardwood. As timeless as it is functional, the Brentwood 66" Dresser is an American bedroom staple. Full extension, soft close slides ensure the drawers of your Brentwood Dresser extend fully and provide a controlled closure. Assembled using dovetailed joinery, the drawers of your dresser will provide many years of practical use. An elegant tri-fold mirror crown the piece which is beveled and framed with your favorite American hardwood. Using the online options menu, indicate custom specifications for the Brentwood Oak Dresser with Mirror. To obtain the pictured look, choose Oak with our Sanibel stain.